While in the process of cleaning out and reorganizing my sewing room recently, I gathered all my projects that were either never started, or started and never finished. They now take up a whole shelf in one of my cabinets and I listed them here along with sharing a few of my organization tips. 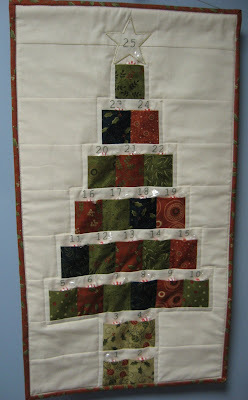 I have been following May Britt's website Abyquilt since I was involved in the Stitcher's Angel Swap last year, and she has come up with a challenge for 2009 which I think will be a great motivator for me. Perhaps it is something you would be interested in too. It's called the One Project a Month Challenge and you can read all about it here on May Britt's site. Basically it is a fun way for lots of creative people to encourage each other to finish one project a month for the year. There will even be prize drawings for those who follow through. 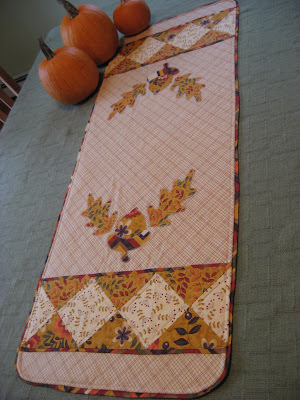 I have put my list of months on my sidebar and will add finished projects for each month as appropriate. As my plan is now, they will all be from my 2009 Project List and will come right off the shelf in my cabinet. You know how the best laid plans can go though. But at least I have a plan! Knitted Jumbo Mittens Pattern Available!